Blue Tree Studios has been lucky enough to be involved again this year in sponsoring the RMIT Diploma of Photography and Photo Imaging. This year we awarded the amazing work of Ruby Ryan for her compelling portrait series that utilises exceeding competent Photoshop retouching layer techniques including frequency masking and the result being beautifully natural – true to life skin reproduction. Ruby’s prize for ‘Best Commercial Photograph’ will include a full day studio hire here at Blue Tree Studios with all the studio flash lighting she needs on the day to make her next photo shoot a complete success and as seamless as possible. 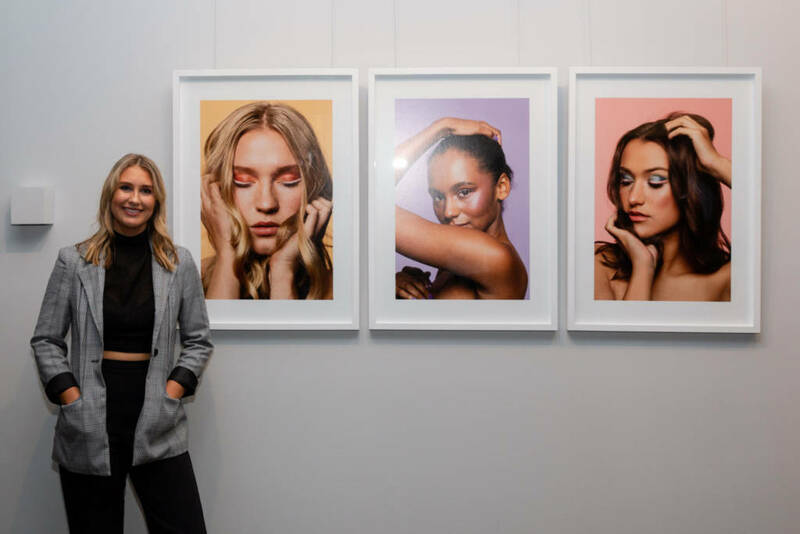 Ruby was born and raised in Melbourne, her passion for photography began in primary school where she was first introduced to film photography and the darkroom processing. Her love for photography blossomed from there and has since embarked upon a Diploma Photography and Photo Imaging at RMIT. Now in her final semester her passion for beauty, fashion and portrait has become paramount to her photography style. Ruby has collaborated with professional makeup artists, assistants and models which has helped her to establish her vision for her folio in which she has incorporated her own sense of style. When Ruby graduates she plans on using her photographic and beauty retouching skills to work in the commercial industry and hopefully here at Blue Tree Studios. If you would like to follow Ruby Ryan you can find her Instagram here: Instagram.com/RubyRyanphoto. Blue Tree Studios loves supporting budding student photographers which is why we offer 50% off on our studio hire for all student photographers.